Additional lawsuits are still being filed against the south Florida pharmaceutical manufacturer, PharmaTech LLC, as well as the distributors and principals of the company and its products. The company is being accused of distributing drugs that have been contaminated. Seven lawsuits have been filed for patients that have become ill or died after taking the liquid medication containing liquid docusate, a stool softener. Three infants died after being given the liquid made by the company. Inspections by the federal government came after the company voluntarily recalled the stool softener that had been contaminated with water-borne bacteria. The Centers for Disease Control and Prevention as well as the Food and Drug Administration say that the medication has affected at least 63 people in 45 states. Medicines are supposed to help us feel better, but once in a while we find ourselves feeling an ill effect from a medication. Despite the testing that goes into medications, some of them that end up on the market aren’t safe for some people. A pharmaceutical injury happens when a person takes medicine that is defective. There are cases wherein the medication errors are due to the mistake of the doctor or pharmacy, but sometimes, as in the case above, it is due to a manufacturing error. This can serve as the basis of a product liability lawsuit. Defective medications most often fall under product liability laws. Manufacturers of medications are responsible for making medications that are as safe as possible. This means the drugs are subjected to multiple testing methods before being released. Drug manufacturers must also warn pharmacists, doctors, and other medical professionals about the safety concerns and issues associated with the medications. Drugs with dangerous side effects. While most medications can have a few side effects, manufacturers must reveal the potential side effects. Failure to do so could result in a product liability lawsuit. Drugs that weren’t manufactured correctly. Companies must test the medications they produce and be sure they are safe for use. If a medication mistake can be traced back to the manufacturer, they could be liable for injuries that occurred. Drugs that were marketed incorrectly. Medicines must have warning labels to give consumers notice of potential side effects. Failure to do so can result in a product liability lawsuit. 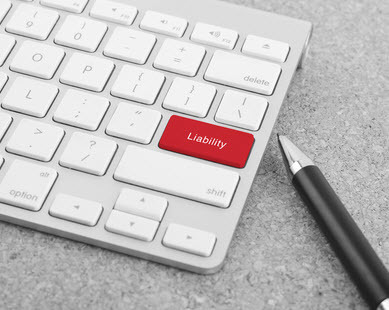 Should I Hire a Product Liability Attorney? Product liability cases, especially those involving medications, can be very complicated. The cases will likely involve medical experts, scientists, and other professionals to help prove the case. If you don’t have an attorney on your side, it will be even harder to prove. Pharmaceutical companies typically have plenty of resources ready to fight against your case and having an attorney on your side to fight for your rights is always a good idea. The Boca Raton attorneys at the Leifer Law Firm have years of experience handling product liability and personal injury cases. We understand the complexities involved and will be able to review your case and create the best possible strategy to increase your chances of getting the compensation you deserve. Contact us today to schedule a consultation.